Hardwood floors can look warm and glossy or dull and grimy. To keep wooden floors looking their best, maintain them regularly, and use only appropriate cleaners on the surface. Surface sealed floors are wooden floors sealed with urethane, polyurethane or polyacrylic. They are stain and water resistant. 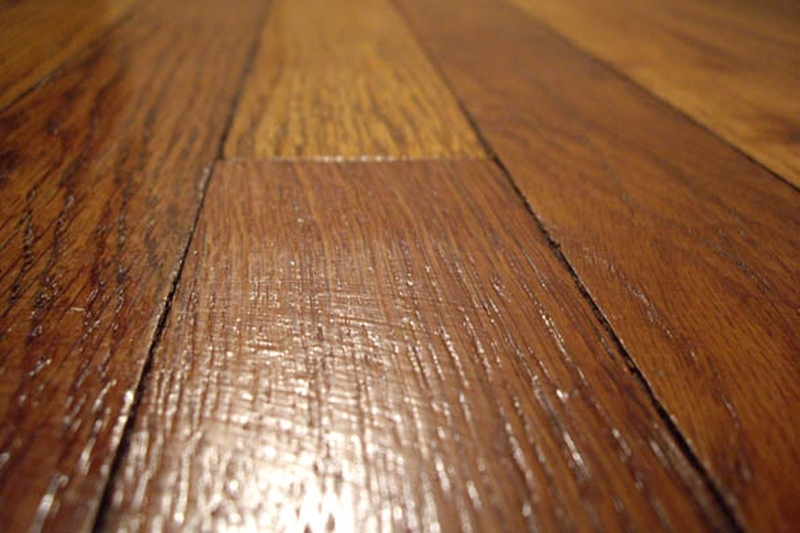 Oil-treated floors are those which a seal of oil has soaked into the wood grain and hardened. These require waxing. Varnished or shellacked floors are not as resistant to moisture, so treat them with care. Spray a mop with a dusting agent, and sweep away debris, which may scratch the surface. Once a week, use a vacuum with a brush attachment to clean the floor. Use a wood-cleaning product diluted according to the manufacturer's instructions. Dip the mop in the bucket, and wring it out thoroughly. The mop should be damp, not dripping wet. Mop in the direction of the wood grain. Mix and use a new batch of cleaning solution as needed. Rinse the mop completely, and replace the soapy water with clean water. Mop the entire surface of the floor with the clean water to remove residual soap. Dampen a sponge. Add baking soda, and scrub at the area until the scuff mark is gone. Server responsed at: 04/22/2019 6:54 p.m.